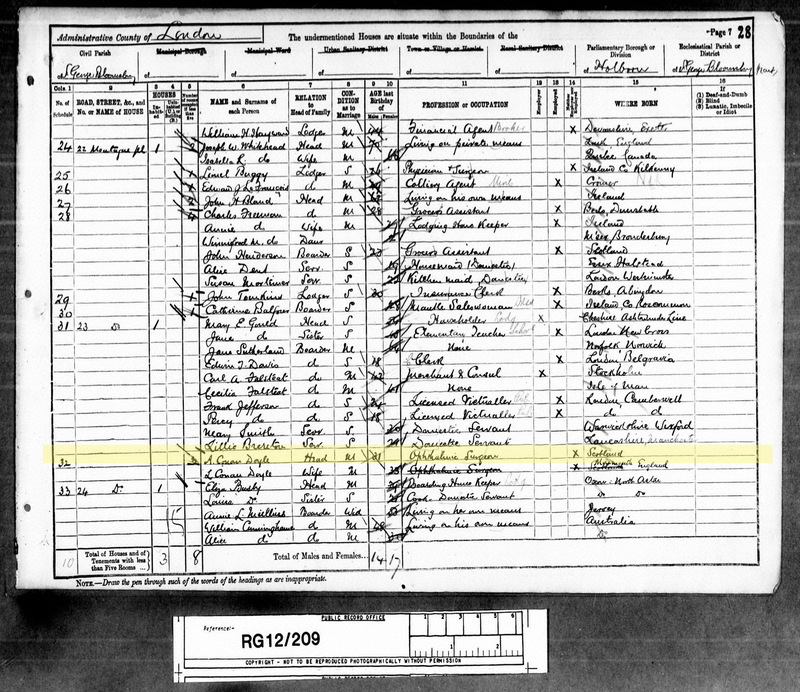 Census records are an invaluable resource for anyone researching their family history or tracing their family tree. They provide a wonderful snapshot at a particular moment in time. 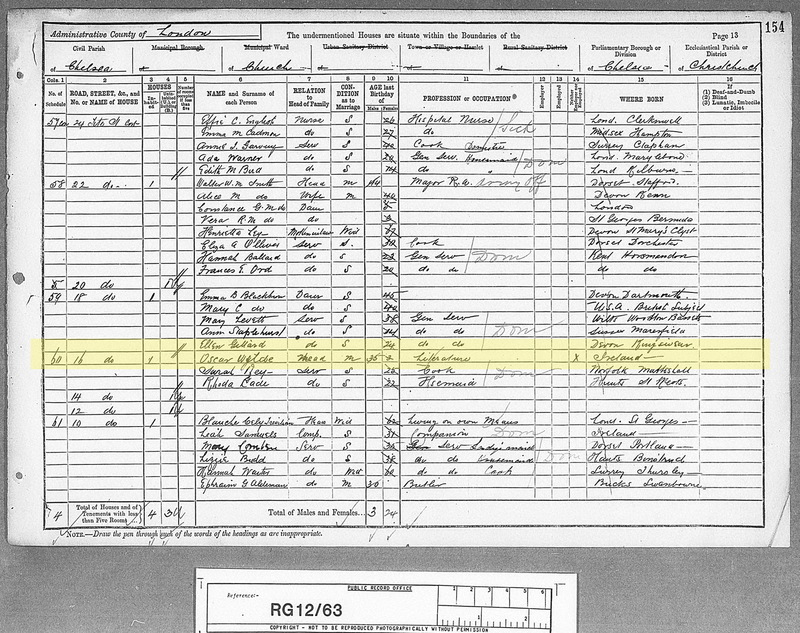 Census returns are helpful in that they furnish us with information about our ancestors. As each succeeding Census was taken they provide even further information about individuals, their families and neighbours as well as the environment, thereby expanding our knowledge of our ancestors and the lives they lived. The first census took place in 1801 and every 10 years thereafter with the exception of 1941 when as a result of the Second World War it was omitted. However the 1801, 1811, 1821 and 1831 Censuses gathered limited information and sadly very little if any of this information now survives. Today the Law prohibits the disclosure of any information or viewing of the records by the Public for 10 years. The responses were to reflect each individual's status for all those who spent the night in the house as well as those who were travelling or lodging on that night. 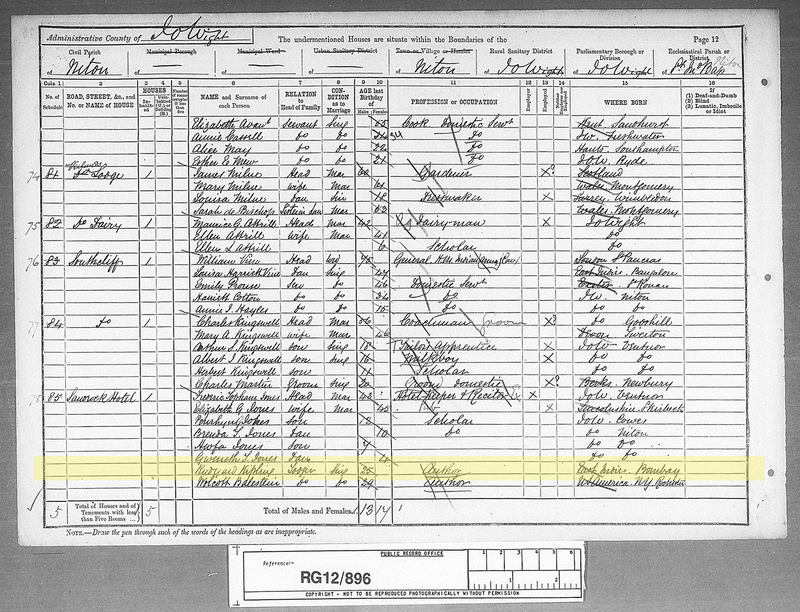 The 1891 Census for England & Wales was taken on April 5, 1891 and the following information was requested. Name of street, road, avenue, vessel, etc. Please note: - The Census is for England & Wales, Channel Island and Isle of Man. Address - Unfortunately not always accurate and therefore you may have to settle for information such as the Road name or Street name. Relationship - How an individual within the same household is related to the head of the household. It provides a good indication of the household structure and relationships within the same house, including children, step children, or children in law as well as lodgers, servants and others. Age - The age was obtained from the individual and therefore it is relatively accurate - depending on the honesty of the person giving the age. Occupation - The occupation, profession or rank is helpful in establishing if indeed you have identified the correct person. Where born - It depends on the Census however the later the Census the more informative and in many cases could give a Town and County or if abroad the Country of Origin. 1891 Census Returns for England and Wales Kew, Richmond, Surrey TW9 4DU, England: The National Archives of the UK (TNA). Public Record Office (PRO). The information is derived as follows - Images have been digitised and then transcribed. The Images have been digitised from information held at the National Archives, Kew, Surrey, England. Please note that Familyrelatives provides this information as is. The National Archives makes no representations or warranties of any kind, express or implied, with respect to this website or the information, content, products or services included in this site including, without limitation, warranties of merchantability and fitness for a particular purpose. Images may be used only for purposes of research, private study or education. Any other use is not authorised and permission should be sought and obtained from the National Archives, Kew, Richmond, Surrey TW9 4DU.